Friends, I have a confession to make. It’s not something that I am proud of but if I don’t put it out there, someone will. My name is Channing and I have been cheating on my… minivan. I know, I know, how could I do such a thing? 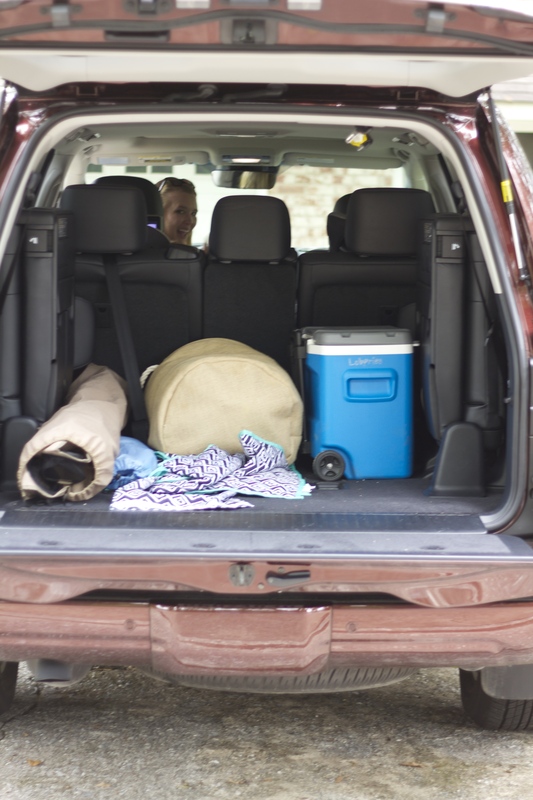 Being the owner of a minivan does not just simply mean that you drive a minivan but it is a lifestyle. It is part of who you are. 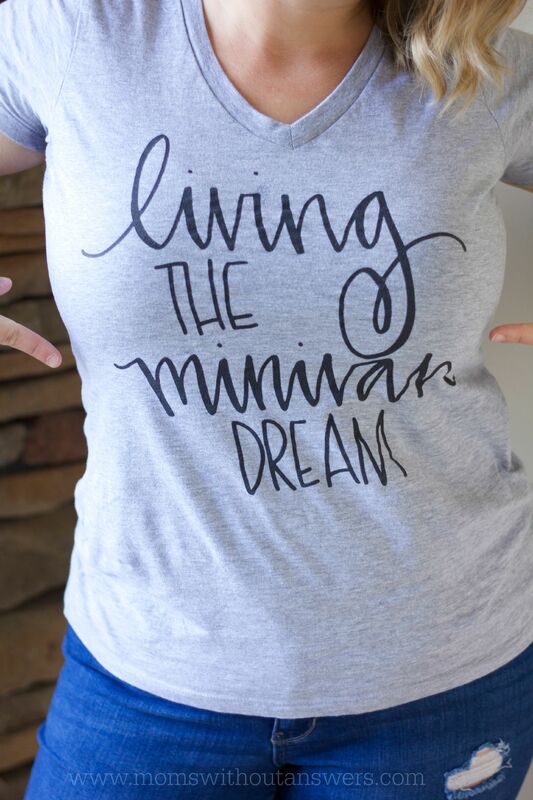 Hello, the club is so exclusive that there are actual shirts made for those of us who are Living the Minivan Dream! Or maybe we just made ourselves shirts! But regardless it’s a commitment and it’s a commitment that I broke. Who even am I? What happened? 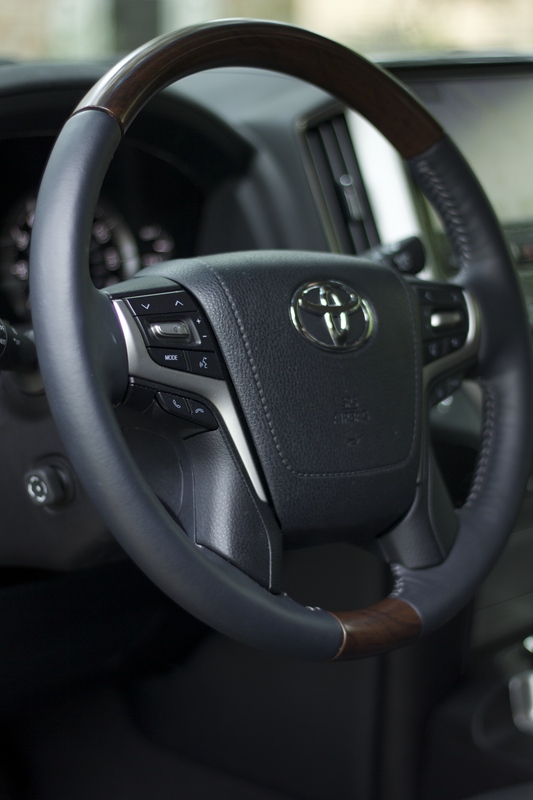 I’ll tell you what happened, the 2016 Toyota Land Cruiser! Just look at her…and look at me. Aren’t we just gorgeous together? And you know what I love about her the most? She is just as beautiful on the inside as she is on the outside. She is full of magical buttons and features galore that make this Mama’s heart sing. 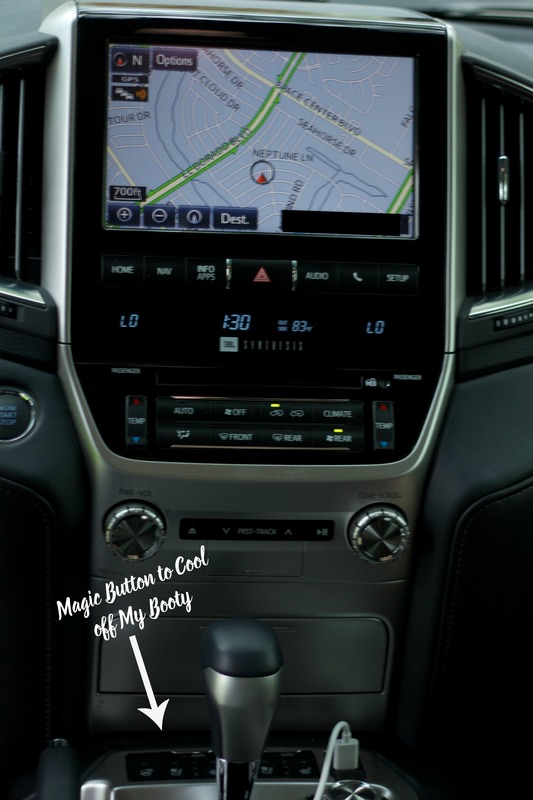 I am talking air conditioned seats, screens for everyone and wait for it, wait for it…a cooler in the console to keep your drinks cold on a hot summer day! You guys, it was like I was living in an alternate universe. This little gem had so many amazing features it was like the gift that kept on giving. It even got me questioning….to minivan or not to minivan? Miracles happened in this car. 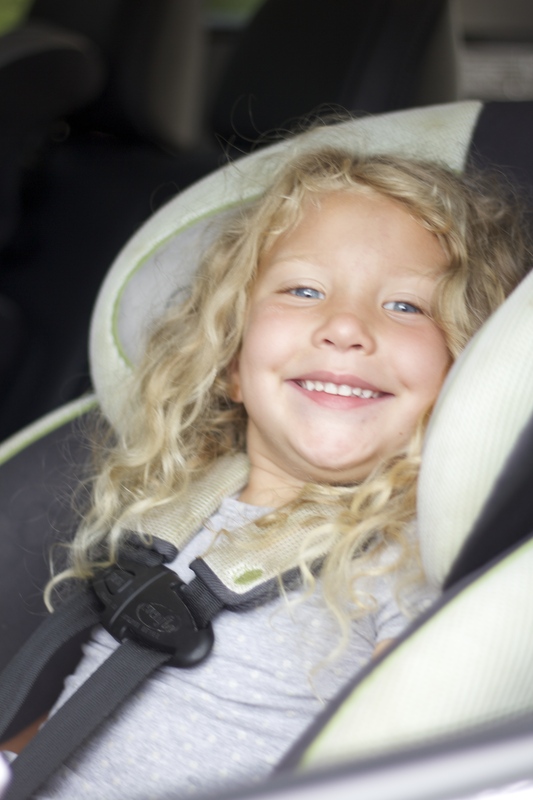 The biggest and most life changing miracle for me is that my children entered the vehicle, they buckled themselves without me screaming at them a million times to do so and they….liked it. You guys, they actually asked me to drive longer! They giving me what every mom dreams of, peace and quiet! Yes, they were in the back seat and they were quiet. I got to sit in a chair without other humans crawling on my person in the peace and quiet! Winning! Did I forget to mention that this miracle is compliments of the screens in front of their faces? EACH of their faces! This feature alone provided moments where no yelling occurred and where everyone could see everything equally. Thank you Toyota for this geniusness. I know this sounds like it’s too good to be true but let me show you. Below is a child so happy and entranced by the awesomeness that is in front of her that she has plugged her own mouth in order not to argue/fight with her sister so she could enjoy the wonders in front of her. Another life changing feature of the Land Cruiser is the trunk. Yes, the trunk. Moms can I get an Amen for a good trunk? Let me help you car makers of the world. 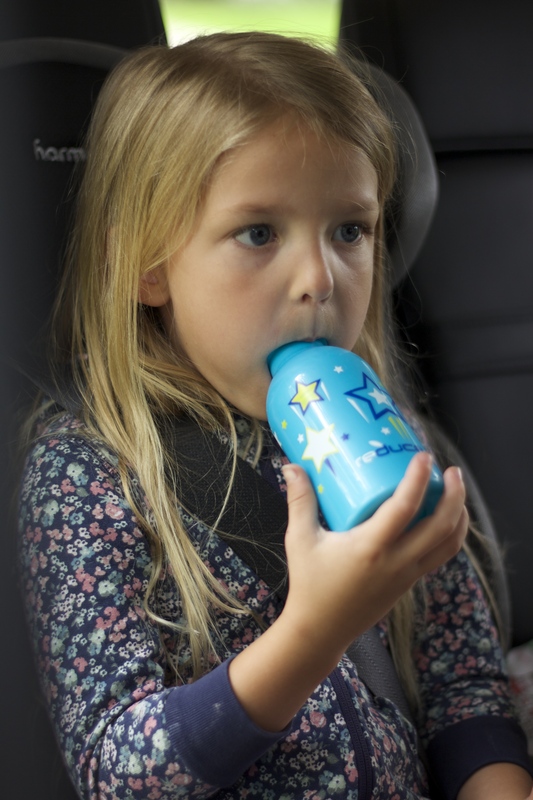 For us moms this is how it works…bad trunk, no buy! In this trunk I was able to fit everything we own thus preparing us for any situation that may ever take place, the kitchen sink and every snack item ever created. We were basically ready for the apocalypse and still had room to spare. Driving this gem was amazing. We laughed together, we traveled all over the greater Houston area together, we taxied children to and fro together and then we cried together when it was time to part ways. 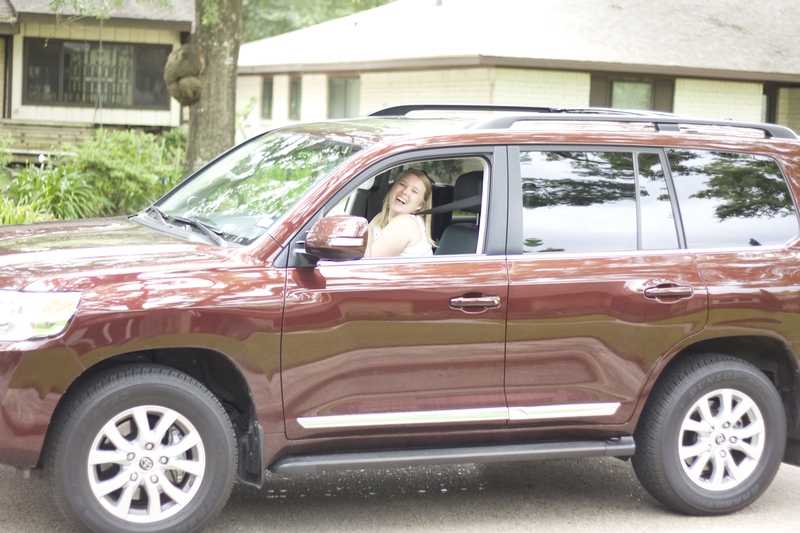 Moms, if you are looking for the perfect car that is stylish and fun yet perfect for the family you have to check out the 2016 Toyota Land Cruiser. Although the love affair between the Land Cruiser and I had to come to an end my actual love for her will not. She was sure good to me! 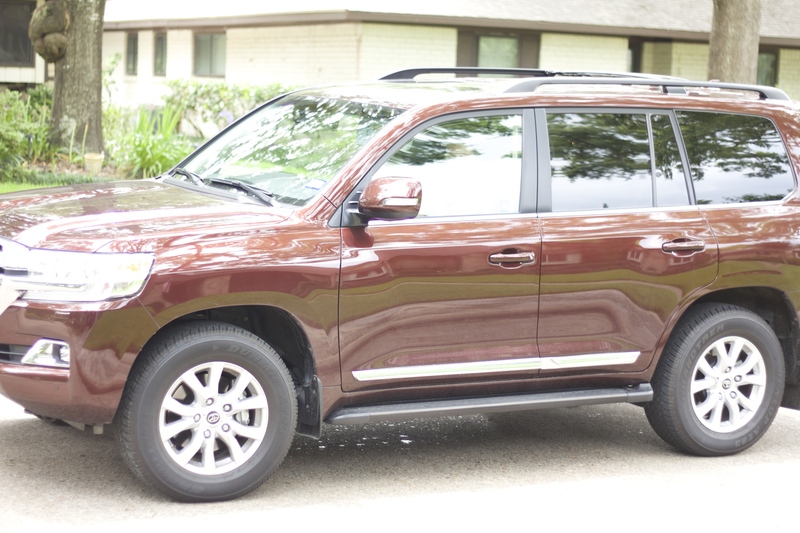 One thing is for sure though, the Land Cruiser sure gave the ole minivan a run for her money!